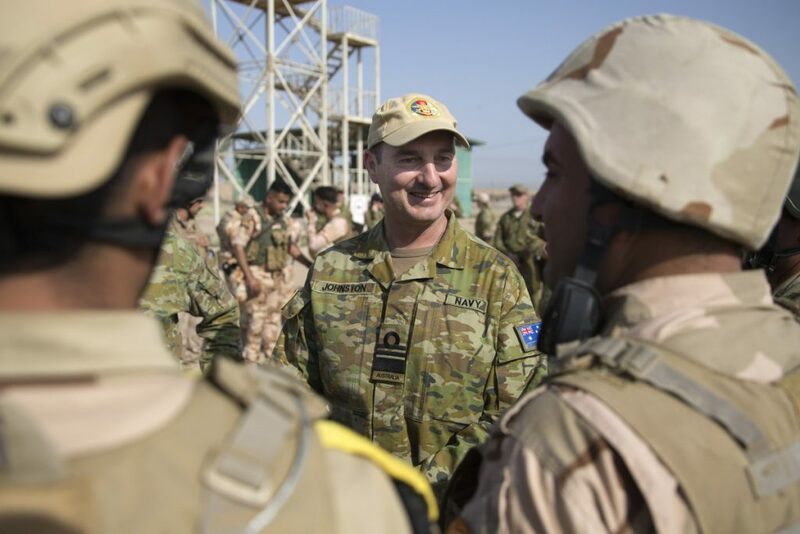 In the ADF’s Joint Operations Command, it’s referred to as the ‘battle rhythm’—a constant series of analyses and judgements about short- and long-term threats to the nation and the region. 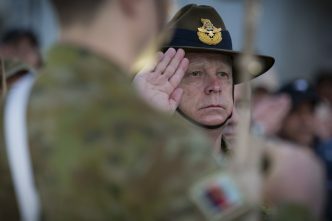 A top security facility near the NSW town of Bungendore and a 30-minute drive from Canberra, HQ JOC has been commanded by the chief of joint operations, Vice Admiral David Johnston, since May 2014. 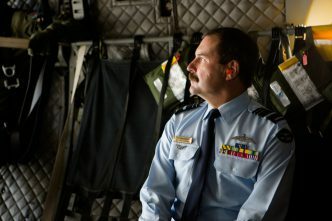 Johnston oversees the planning and execution of Australia’s military operations and training exercises at home and overseas. 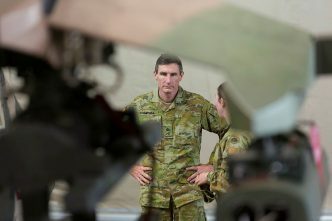 That can involve anything from dispatching ships and aircraft to help a neighbour stricken by a cyclone to making a decision on whether an Islamic State terror group target in Iraq or Syria should be bombed by RAAF jets. Johnston tells The Strategist that the battle rhythm is a cycle of events in his headquarters. At JOC, there’s a set of NATO-style groups designed to work independently or closely together—an operations branch, a planning branch, an intelligence branch, a support branch (which has access to all the logistics required, including what’s needed for the medical response), a training and evaluation branch, and a communications branch. Activity at JOC is triggered by events, and information flows in constantly from sources ranging from intelligence agencies to global news feeds monitored on giant screens. JOC watches to see what elements in Australia’s environment are changing and what implications that has and how the impact can be mitigated, says Johnston. Then he must decide if the operational ADF should handle it or if he needs to reach out to other parts of Defence or through them to other government agencies. 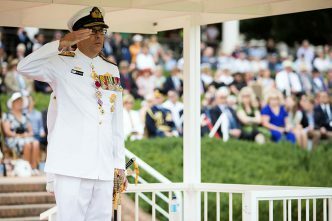 Johnston’s strong message to personnel at JOC is that as the ADF changes around them with the introduction of equipment such as the navy’s new landing ships and the RAAF’s advanced and integrated new aircraft or the ADF’s cyber capabilities, ‘we need a fifth generation headquarters to match a fifth generation force’. Many contingency plans are never acted on. 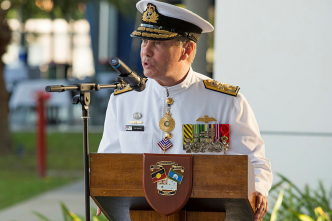 ‘If we see long-term security risks in a number of areas important to us nationally—we hope most won’t eventuate—and if we think the government will seek an answer, I can be tasked by the chief of the ADF and the secretary to develop a plan’, Johnston says.